A friend asked me recently if I was happy. My reply was “yes” but it had me thinking about what we actually mean when we ask that question. Is happiness a constant state of being? If only we can have X+Y+Z in our lives then we will be happy? I don’t think it is that simple, nor do I believe happiness to be a state that we reach then inhabit indefinitely. The internet abounds with “Top Ten” this and that, and there is no shortage of happiness lists out there. Some I have found to be idealistic and some too centered on “navel gazing”. But a few gems have popped up that I think are “Worth the Read”. The first is a post called “10 Keys to Happier Living”. I love it because the first key is Giving to Others. I have always believed that the root of “happiness” is being grateful. It is easy to be grateful when we spend time with those who have less in their lives than we do. Not just less material wealth, but there are many people who live with less love, less health, less kindness, and less joy than I do. 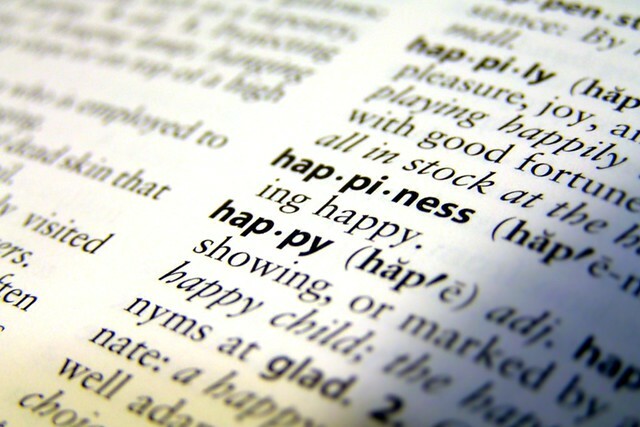 Giving in any of those areas undoubtedly contributes to my happiness. Happiness does not always seem to me to be the proper response to the world that I encounter with all its sadness, hatred, war, poverty, and inequality. There are times and places where the proper response, it seems to me, is anger and indignation and sometimes sadness. I think there is some wisdom in that. If we are always in pursuit of our own happiness, it can become narcissistic. We forget those that are hurting around us, forget that a full life involves a range of emotions and circumstances. And most dangerously, we can end up hurting others as we search for experiences that make us “happy”. My last “Worth the Read” is a video that I have watched many times. Dan Gilbert, who is very entertaining, talks about how circumstance does not actually cause happiness. I’d love to hear your thoughts on happiness.